Home > Professional Development Webinars > Webinar 16 Troubleshooting Vocal Problems 1 - Breathing! 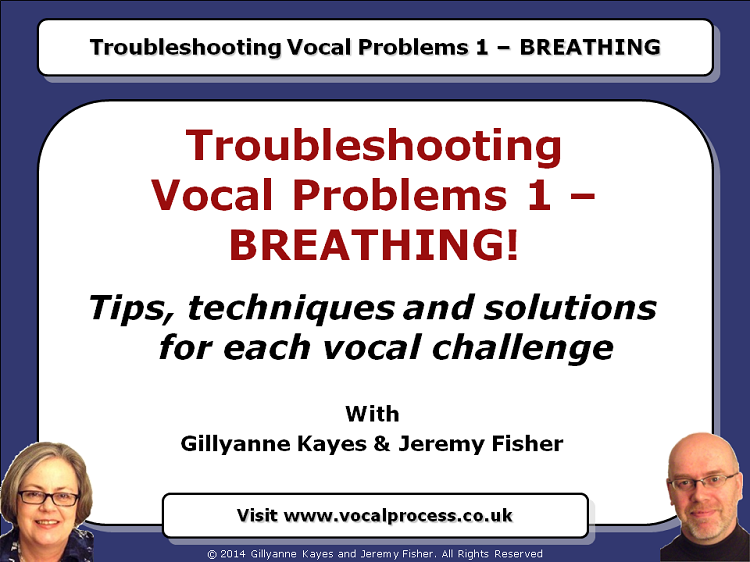 Webinar 16: Troubleshooting Vocal Problems 1 - BREATHING! Our 2014/5 Survey of singers and singing teachers showed that the number one concern you want us to troubleshoot is breathing for singers. So in this hour-long online Webinar we’ll start by answering the most frequent question on breathing we’ve heard over the years – Why do I run out of breath? How much breath do you need really? We give you our solutions to each technical challenge, with hot tips and precise techniques to counteract the problem and get you singing better. So, if you want to improve your breathing for singing, and your vocal troubleshooting skills, add this Webinar to your shopping cart now and stay ahead of the game!